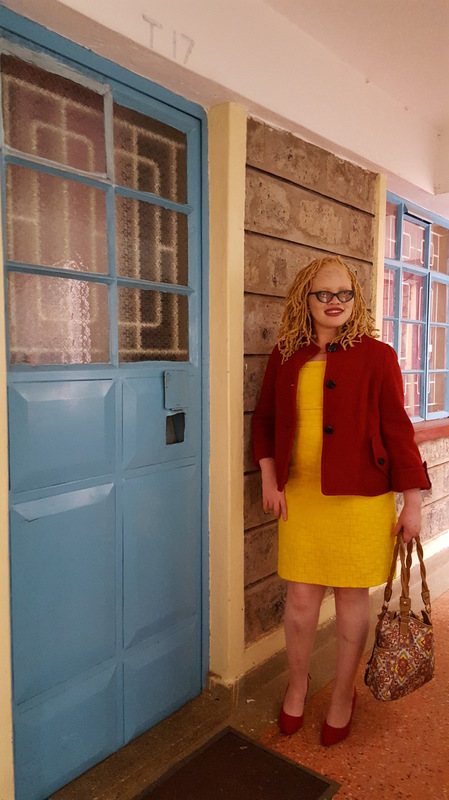 “I inspire, engage and transform.” Those are the words of an amazing young woman who has chosen to be the face of Albinism in Africa and beyond. She has accomplished so much in her life. Much more than many who don’t face the same obstacles she has. She’s one of the most vibrant and engaging women I have ever met. 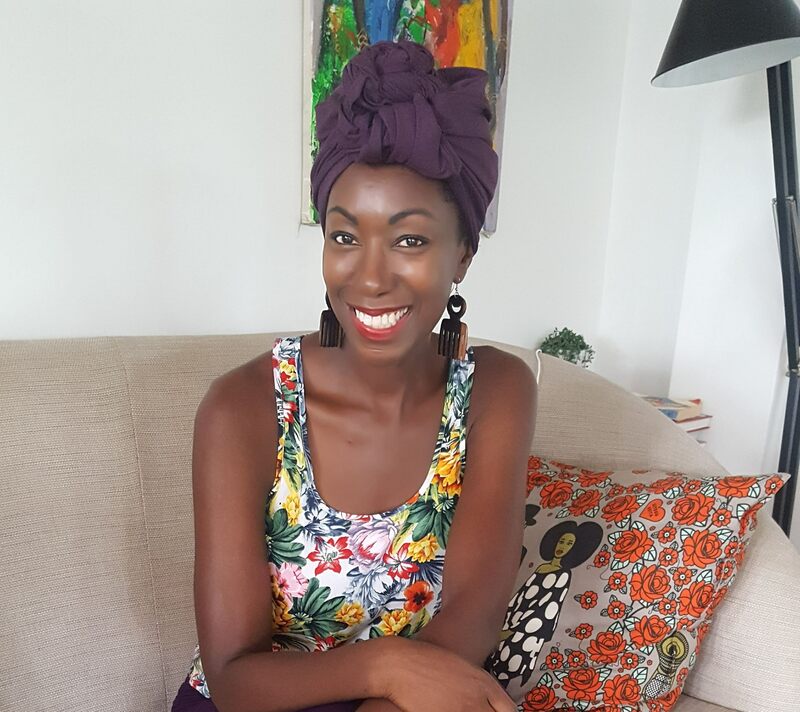 Her name is Jane Waithera. Hanging out at Garden City in Nairobi. One look into her eyes and all you see is pure joy. You easily forget that she has ‘dancing eyes’, as she refers to the way her eyes are always moving involuntarily. It’s a symptom of Albinism called nystagmus. Like the majority of those with Albinism, she lacks melanin in her skin, hair and has no pigmentation in her eyes with very low vision. She told me that in some countries she would be considered legally blind. 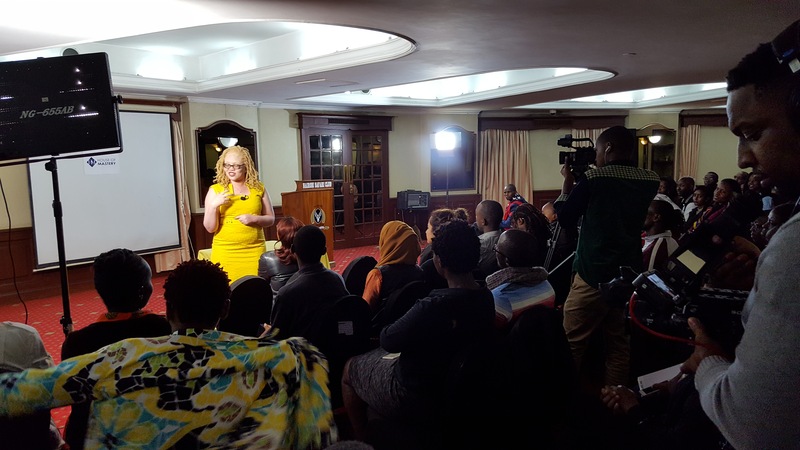 Persons living with Albinism in African countries often face discrimination and even fear for their lives because they are sometimes hunted for their body parts to be used in rituals. She admits to being afraid of one day becomong a victim. There are still so many who believe Albino people have some kind of magical powers and using them in rituals will somehow bring good fortune or healing. Jane has not let her obstacles stop her from achieving greatness. 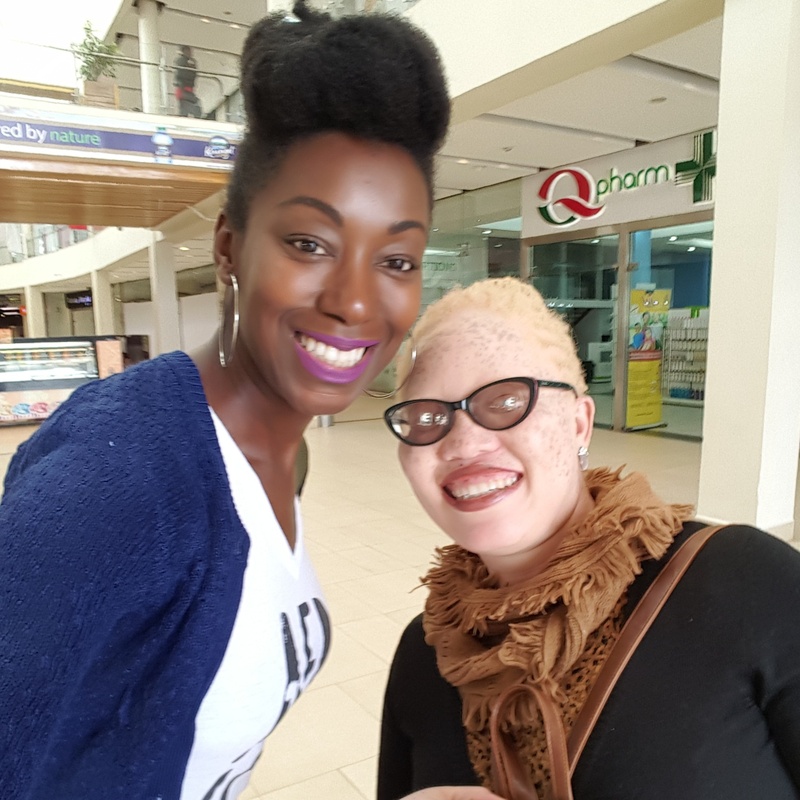 She’s the Programs Director for Positive Exposure Kenya, a non-profit she helped initiate to address issues of diversity while creating public awareness of albinism including advocacy, social and economic empowerment for persons with albinism. When we arrived at her place she was instantly warm, engaging and acted like we have been best friends for years. Her smile is so infectious you can’t help but smile back. She was an open book, sharing a life story that could have left most people losing the will to live. “My mother abandoned me after I was born,” she said, “But I have chosen to forgive her.” I was stunned when she said that. Her level of compassion for the woman who chose to leave her because she was born different is admirable. Jane spoke about making the choice to empathize with her mother’s experience. First of all she was a teenage mother, secondly she gave birth to a child with a condition seen as taboo in their culture. She says she can understand where her mother was coming from considering the circumstances. Today she says she realized that what happened was in the past and she can’t allow it to define her future. Forgiveness was the way forward. Jane went on to say that it’s her grandmother that raised her and kept her strong. Without her she believes she wouldn’t be the woman she is today. “My grandmother is really one special person to me,” she said. I noticed that anytime she mentioned her grandmother she smiled and had a pure sense of joy that exudes through her spirit. Jane openly admits she knows that she is different. 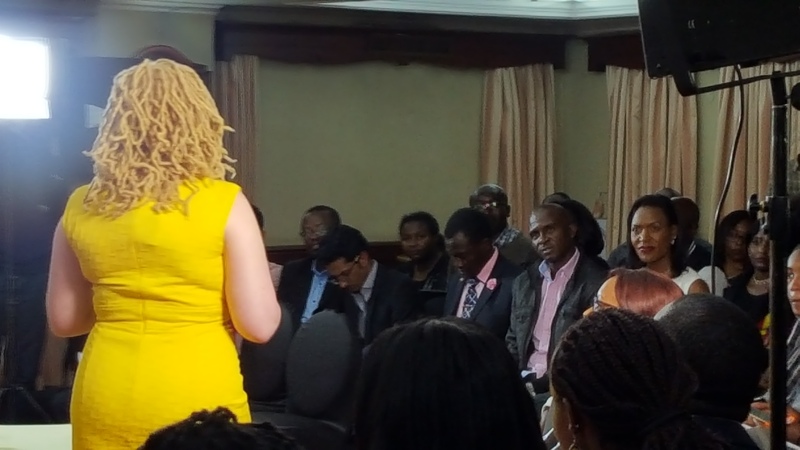 She said she realized that from a very young age because standing out in a country like Kenya, or in the African context where the majority of the people are dark-skinned was tough for her. It’s hard to believe that she even went through a period of struggle. The woman has a level of confidence I haven’t seen in most people. 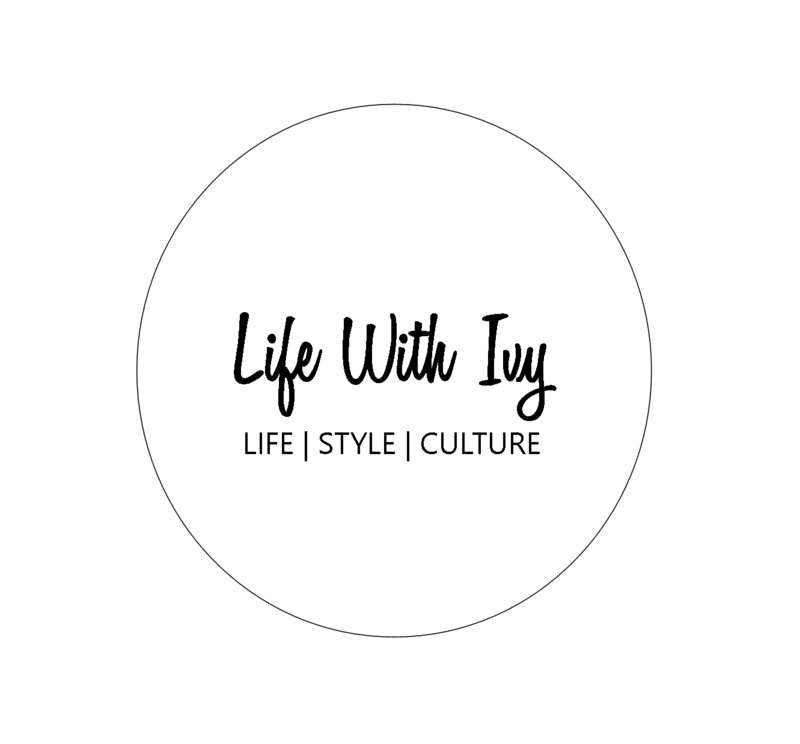 She said that she came to a point in her life when she realized that she had to become her own advocate and be responsible for her own self esteem. I attended an event she spoke at called ‘Own Your Story’. She had such a conection and moved everyone in the audience to really understand that she too is a human being. I spoke to a man afterward who said she made him realize that the way society has treated people like her was truly wrong. He didn’t realize many of the things she shared and now saw her as a person with feelings, rather than a mysterious object. Jane speaking at ‘Own Your Story’. The time I spent with her really touched me. I never had any negative thoughts towards people with albinism. I just saw them as people who happened to be born with an unusual condition. Learning from Jane gave me a better understanding of the struggles experienced by them in Africa and how much work still needs to be done to change perceptions in many societies.